If ever you feel slightly pessimistic about the future, remember that there are brilliant young people out there who are willing to take charge and develop solutions to the world’s great challenges. 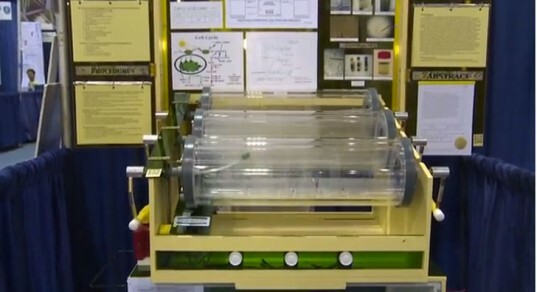 16 year-old Evie Sobczak from St. Petersburg, Florida has engineered a new method of turning algae into biofuel. She determined a novel and more efficient way to grow the organisms, extract oil, and use the product as biodiesel. Her method uses no chemicals, and creates 20 percent more oil than current technologies. Her efforts won her first place at Intel’s International Science and Engineering Fair. Sobczak’s project, Algae to Oil via Photoautotrophic Cultivation and Osmotic Sonication, is the most recent in her long line of scientific endeavors. For a fifth grade science fair, she made a clock that ran on the acid from oranges. In the seventh grade, she generated energy from paddles that harvested the wind. She began her work with algae in the eighth grade, and labored for four years to perfect her technique. “I really believe algae could be our next fuel source because it doesn’t take a lot of land and it doesn’t take away from our food source. And if you use my processes, you don’t use any chemicals, so it’s not harming our environment. I live in Florida, so we have a lot of algae problems, so I thought why not use something negative to help our world? ” she said. In addition to forming a new method for biodiesel generation, she engineered all her own equipment including a bioreactor, cellulose blaster, and vessels. Already a brilliant bioengineer in high school, we look forward to seeing what lies ahead for Sobczak and the state of green transportation. If ever you feel slightly pessimistic about the future, remember that there are brilliant young people out there who are willing to take charge and develop solutions to the world's great challenges. 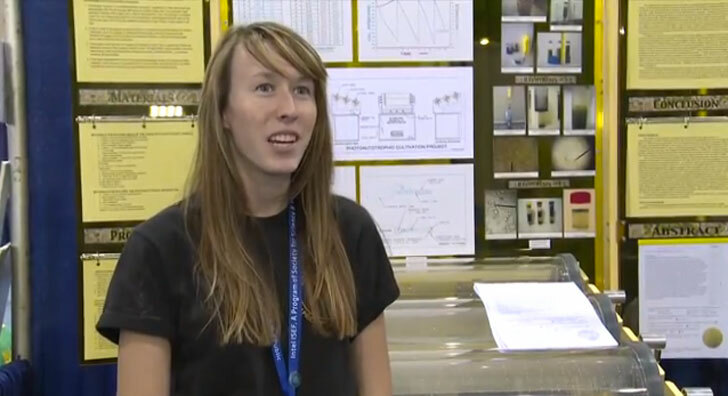 16 year-old Evie�Sobczak from St. Petersburg, Florida has engineered a new method of turning algae into biofuel. She determined a novel and more efficient way to grow the organisms, extract oil, and use the product as biodiesel. Her method uses no chemicals, and creates 20 percent more oil than current technologies. Her efforts won her first place at Intel's International Science and Engineering Fair.